MSV: Das Boot! Are you ready to see cars towed in Hoboken? Das Boot! Are you ready to see cars towed in Hoboken? That's what's up to bat if a resolution in the City Council sees passage Wednesday night. 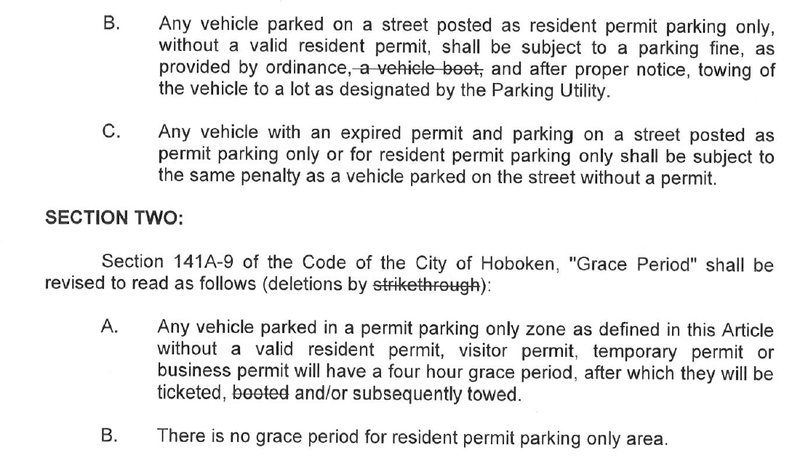 The resolution proposed by Councilwoman Terry Castellano and co-sponsored by Beth Mason will end the application of the boot for parking offenses in Hoboken. What both Castellano and Mason are not telling the public is their resolution falls back on towing as the means to deal with parking offenses in Hoboken. 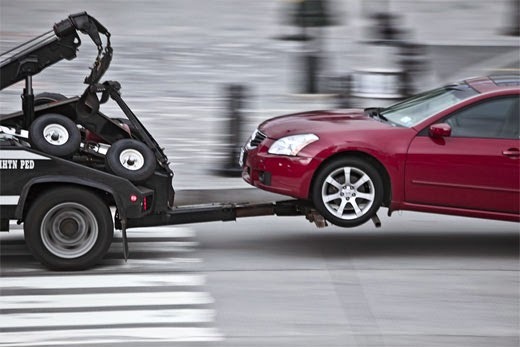 As residents recall back in the towing days, your vehicle would be slapped with a ticket on the windshield and then your car would be hooked and towed away. Many remember it well and you would then run around town for a release at the Hoboken Police Department and then go pay and retrieve the vehicle from the yard clear across town. But is there sufficient towing capacity in Hoboken? Not likely and that would mean more vendors would need to be added sending many residents to obscure areas of Jersey City and beyond. The resolution however doesn't address any of the capacity issues with replacing the boot with towing. The resolution if passed would go into effect in 20 days. Could towing be returning to Hoboken? Yes, if a resolution as written ends the use of the boot Wednesday night. In the state legislature, there's a bill by Assemblymen Declan O'Scanlon, Michael Patrick Carroll and Garica (yes it's Carmelo Garcia) to stop the boot. One person is quoted in the press release complaining about his pregnant wife having to deal with the boot. Well would she prefer to go through the rigors of a tow? That's the reality of Hoboken's choices. Talking Ed Note: There's nothing wrong with going back to towing where the offending vehicle would be ticketed and towed shortly thereafter, if in fact the public knows that's the system being re-adopted. But the public should know all the facts and this isn't about illumination but cheap politics. Of course the Old Guard council can't do anything straight and is really looking to play politics with the recent publicity surrounding Hoboken's boot usage. If you want to be serious about ending the boot and returning back to towing then you have a grown up conversation and ensure there is adequate towing vendors to come in and handle the slack. But is there anything Beth Mason ever does without hyper partisan politics the objective? Even a disabled woman appearing at a special HHA meeting and the only HHA resident who spoke on the actual resolution at hand was shown not an ounce of compassion but a nasty Mason tongue lashing. On the towing vendor front, there's one local vendor in town who does a good job but they have blood relatives on the City Council too. Do you think someone forgot to mention that conflict leading into a vote on the issue Wednesday?